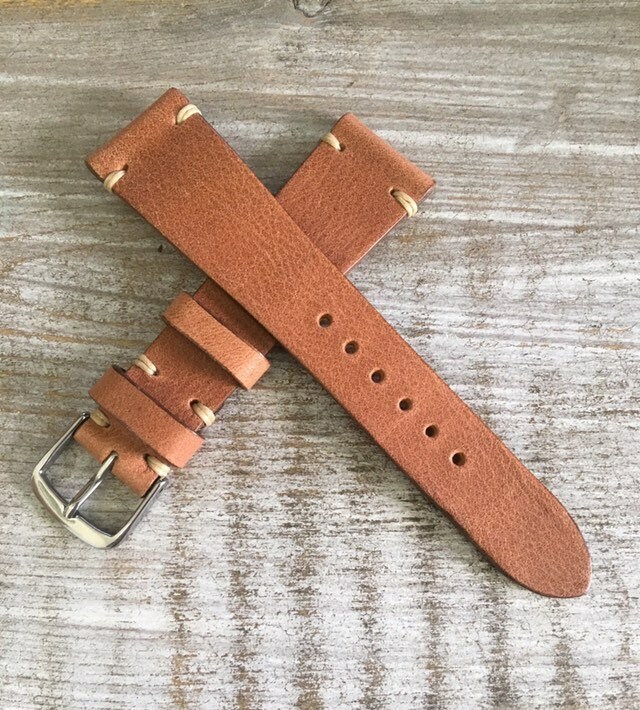 For sale is this classic 2 piece strap. 100% hand made in the EU. 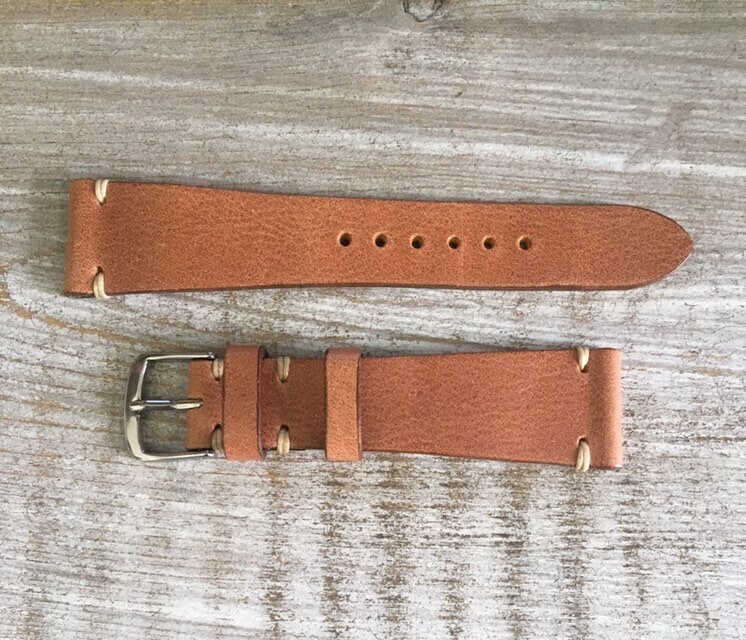 This strap is made from the finest Italian calf leather made in sunny Tuscany. Wrist comfort guaranteed! 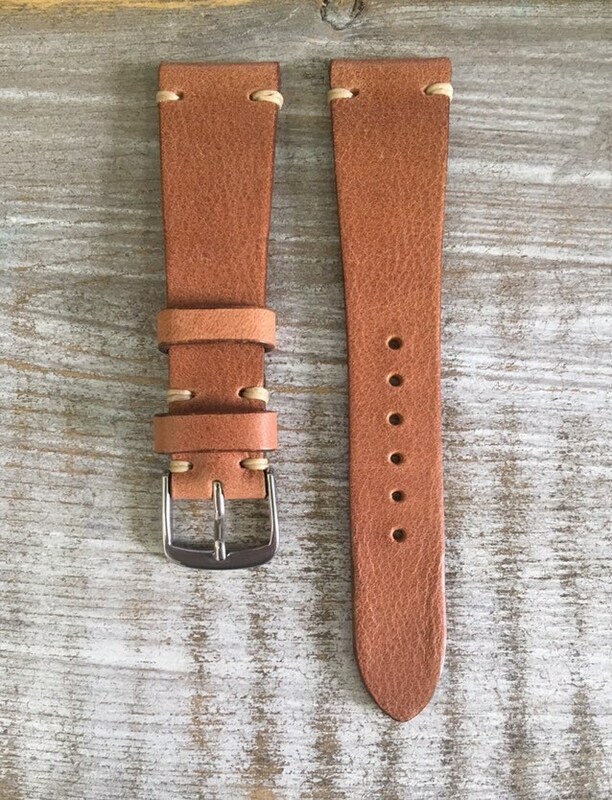 Before purchasing, please consider if the strap will fit your watch. Returns because of incorrect size, thickness or length are not accepted. 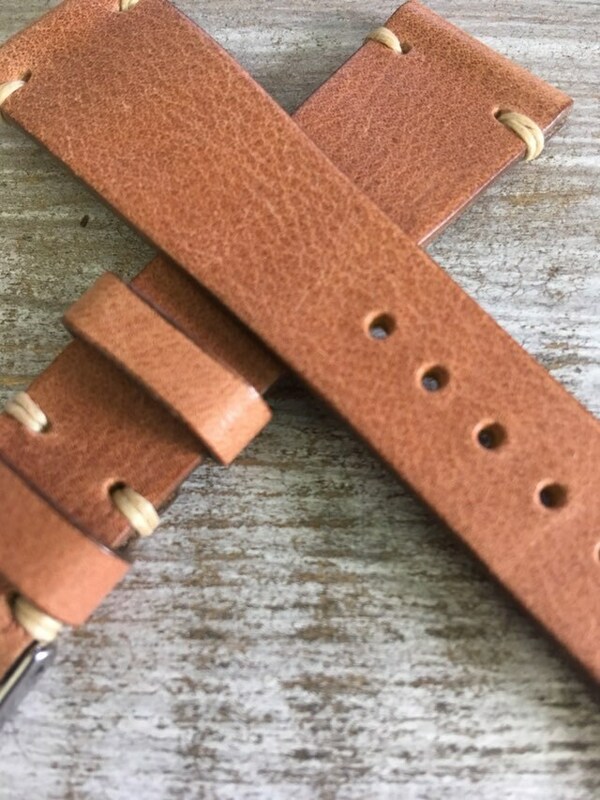 I stock various colors and leather types so If you would like to get something what you dont see on offer just let me know and I can make it for you. I also provide discounts when ordering larger quantities. I am offering good prices for dealers, for more info please contact me. I ship my straps to almost every destination in the world. I am using Registered Airmail for all my orders which is probably the cheapest and fastest way. If you require insured shipping or other shipping method, please contact me before purchasing and we can discuss availability and cost. If you are not satisfied with your purchase due to a fault on my side, you may return the product for exchange or refund (excluding shipping and handling charges) within 14 days after reciept of the item. Remember, the cost of shipping will be deducted from your total refund and you are obligated to send the goods back to me on your own expense. All straps and accessories must be returned. All returned or exchanged items must be in new and unused condition, in their original packaging. In some cases, you may be charged for the replacement of damaged, altered, missing, written-on or taped-on contents or packaging. We reserve the right to refuse any such items. ANY SIGNS OF WEAR or REMOVAL OF PARTS WILL RESULT IN REFUSAL OF YOUR RETURN. Orders for delivery outside of the European Union may be subject to import duties and local taxes which are levied once the package reaches the destination country. Any additional charges for customs clearance must be borne by the Customer. Watchstrapheaven have no control over these charges and cannot predict what they may be. Customs policies vary widely from country to country, so the Customer should contact your local customs office for further information. · Service providers. I engage certain trusted third parties to perform functions and provide services to my shop, such as delivery companies. I will share your personal information with these third parties, but only to the extent necessary to perform these services. · Business transfers. If I sell or merge my business, I may disclose your information as part of that transaction, only to the extent permitted by law. · Compliance with laws. I may collect, use, retain, and share your information if I have a good faith belief that it is reasonably necessary to: (a) respond to legal process or to government requests; (b) enforce my agreements, terms and policies; (c) prevent, investigate, and address fraud and other illegal activity, security, or technical issues; or (d) protect the rights, property, and safety of my customers, or others. · Access. You may have the right to access and receive a copy of the personal information I hold about you by contacting me. · Change, restrict, delete. You may also have rights to change, restrict my use of, or delete your personal information. Absent exceptional circumstances (like where I am required to store data for legal reasons) I will generally delete your personal information upon request. · Object. You can object to (i) my processing of some of your information based on my legitimate interests and (ii) receiving marketing messages from me after providing your express consent to receive them. In such cases, I will delete your personal information unless I have compelling and legitimate grounds to continue using that information or if it is needed for legal reasons. · Complain. If you reside in the EU and wish to raise a concern about my use of your information (and without prejudice to any other rights you may have), you have the right to do so with your local data protection authority. For purposes of EU data protection law, LYR, s.r.o. is the data controller of your personal information. If you have any questions or concerns, you may contact me at watchstrapheaven@gmail.com.